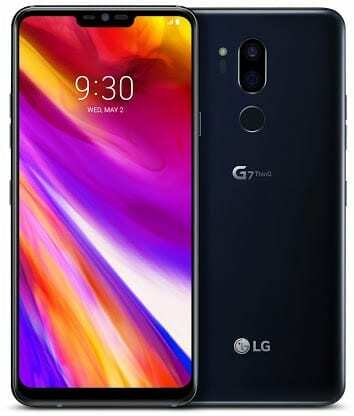 LG G7 ThinQ is the all new LG G7 with AI features and impressive performance. The 128GB version of the device will also be known as LG G7 Plus in some countries. The G7 ThinQ sports the trending notch display we’ve seen on most flagships. Internally, it houses the powerful Snapdragon 845 chip from Qualcomm with a powerful octa-core processor. There’s also a 128GB storage and 6GB RAM version for heavy users. This is also the first smartphone with a Google Assistant hardware button. Without further ado, meet the LG G7 ThinQ. What is LG G7 ThinQ Price and Availability Status? This smartphone has an Aluminum frame and covered exquisitely in glass. There’s a vertically aligned dual rear shooters at the top middle for photography while the fingerprint scanner sits underneath. It has IP68 certifications, offering dust and water resistant. With the device, you can take selfies while swimming in a pool, but not more than 30mins. LG is dedicated to letting users know the smartphone they are using with the “LG G7 ThinQ” at the rear. Measuring 7.9 mm in thickness and weighing 162g overall, it will be available in New Platinum Gray, New Aurora Black, New Moroccan Blue and Raspberry Rose colors. The G7 ThinQ sports the trending bezel-less display with top-notch, there’s a hardware assistant button which integrates with Google assistant at the notch. Even LG is finding it difficult to completely get rid of the bottom bezel like on the iPhone X. Nonetheless, it dishes out a 19.5:9 aspect ratio for bezel-less lovers. The massive 6.1-inch FHD+ IPS LCD capacitive touchscreen will definitely delight big screen lovers. With a resolution of 1440 x 3120 pixels and 564 pixel per inch density, you won’t miss any single detail on the screen. It’s also worthy to note that the screen stretches up to 82.6% screen to body ratio, with Always-on display, 100% DCI-P3 coverage, Dolby Vision/HDR10 compliant and protected by a Corning Gorilla Glass 5. Running the race here is the Snapdragon 845 chip from Qualcomm with an Octa-core processor and 64-bit CPU architecture. The 8-cores of processor here runs at an impressive speed of 2.8GHz with 10nm process technology. While the Adreno 630 graphics processor administrate graphics. There are two versions in terms of RAM and internal storage space, there’s a standard version with 6GB RAM for multitasking and 128GB storage space. While the cheaper variant has 4GB RAM and 64GB storage space to accommodate files. Both storage spaces are upgradeable up to 400GB, as it runs on Android 8.0 Oreo. For photography dual 16MP + 16MP shooters are available at the rear with f/1.6 and f/1.9 aperture respectively. The cameras has a LED flash and other features like OIS, phase detection autofocus, LED flash, Geo-tagging, touch focus, face detection, HDR and others. The second shooter with f/1.9 aperture would also help for bokeh effects and portrait mode. Videos of 2160p can be recorded at 30fps, while 1080p at 60fps with HDR and 24-bit/192kHz stereo sound rec. There’s an 8MP shooter with f/1.9 aperture on top of the notch for selfies. Powering the LG G7 ThinQ is a 3000mAh non-removable Li-Po battery with fast charging and wireless charging technology. With the fast charging feature, it shouldn’t take up to 1.7 hours to fully charge up the battery from 0% to 100%. 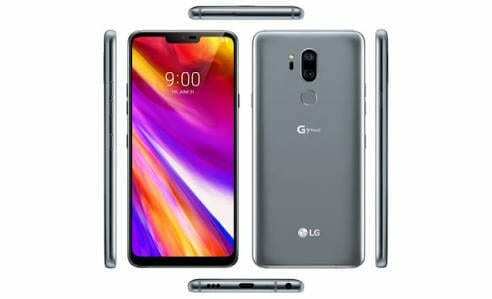 The LG G7 ThinQ is available on Shopping stores from $699 (N240,000) to $799 (N280,000). 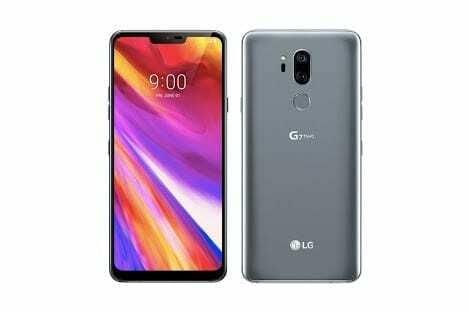 Click on the links above to view the latest LG G7 ThinQ price & availability on Shopping stores. LG G7 ThinQ is the all new LG G7 with AI features and impressive performance. The 128GB version of the device will also be known as LG G7 Plus in some countries. The G7 ThinQ sports the trending notch display we've seen on most flagships.